Have you submitted your accessibility compliance report? 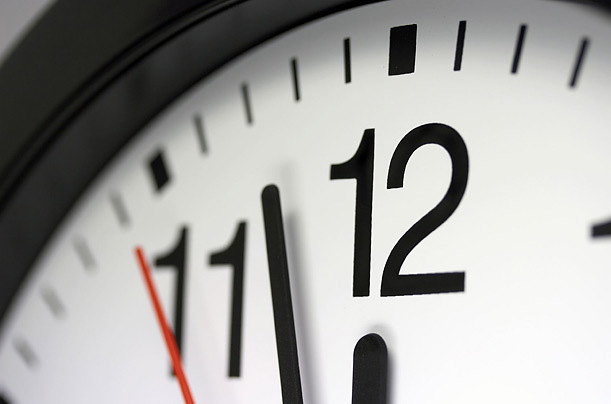 If you are a business or non-profit with 20+ employees, your report is due by December 31, 2014. Know what you need to comply. Set-up/log into a ONe-key account. Read the instructions on how to file your report. Need help? Sign up for a web café! Join us for a series of free webinars that will help you prepare to file your 2014 accessibility compliance report. Help us spread the word about this new series by sharing it widely with your networks. Spots are limited so secure your place by registering today! Please indicate any required accessibility accommodations when registering. A new year brings new requirements. All private and non-profit sector organizations will have some new requirements due by January 1. What you need to do depends on the number of employees in your organization. Visit the Accessibility Compliance wizard to help you get started. We also have a number of free tools and resources to guide you. To help you meet the requirements below, use these recommended resources. Establish policies to help you achieve your accessibility goals, and tell your employees and customers about them. Developing accessibility policies takes you through the steps to consider and includes a sample policy template. Consider accessibility when purchasing or designing self-service kiosks. Making self-service kiosks accessible includes tips on how you can build accessibility features into your self-service kiosks to best meet the needs of your customers. Train your staff on Ontario’s accessibility laws. AccessForward.ca will help you train your staff on Ontario’s accessibility laws. Make your feedback processes accessible, when asked. 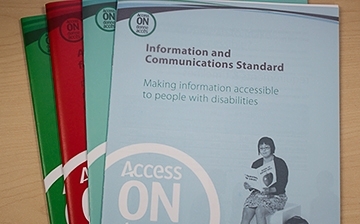 Making information accessible will give you tips on how to make information accessible to people with disabilities, including your feedback processes – like surveys or comment cards. Are you a not-for-profit organization that wants to help educate your sector on Ontario’s accessibility laws? You may be eligible to apply for funding through our EnAbling Change Program. For more information about the program visit the EnAbling Change Grants Ontario web portal or contact enablingchange@ontario.ca to subscribe to the newsletter. One of our current EnAbling Change partners, Le Phénix, has developed a comprehensive web portal in French with information for private sector and non-profit employers about Ontario’s accessibility laws. The University of Toronto is home to the first AbleGamers Game Accessibility Arcade in Canada. Located at U of T’s Robarts Library, this arcade for gamers with disabilities includes the most up-to-date technology and controllers designed to make today’s most popular video games accessible. Learn more. Would you like to understand the relationship between the AODA, the Ontario Building Code and the Ontario Human Rights Code? Watch this webinar on Accessibility and the Built Environment by the Ontario Business Improvement Area Association. Panelists include experts from the Accessibility Directorate of Ontario, the Ministry of Municipal Affairs and Housing, and the Ontario Human Rights Commission. You can find out what you need to do to comply and how to file your accessibility compliance report in a new simple and easy-to-read format at ontario.ca/accessibility. Over the next few weeks, you’ll be hearing about the website and the upcoming December 31 reporting deadline through radio, popular websites and social media. The new David C. Onley Award for Leadership in Accessibility recognizes Ontarians who have gone above and beyond in improving accessibility for people with disabilities. The nomination deadline is December 3, 2014 – which is the International Day of Persons with Disabilities – and awards will be presented in May 2015 during National Access Awareness Week. To find out more about the award, eligibility and how to submit a nomination, visit the Ministry of Citizenship, Immigration and International Trade’s website. The Honourable David C. Onley has been appointed as a special advisor on accessibility to champion opportunities for people of all abilities in the public and private sectors. As special advisor, the former Lieutenant Governor will work closely with Brad Duguid, Minister of Economic Development, Employment and Infrastructure, to continue breaking down barriers and promote the economic benefits of inclusion and employment of people with disabilities, and championing accessibility across the province. Ontario’s Child and Youth Advocate wants to hear from young people with special needs. I Have Something to Say is an initiative aimed at engaging children and youth with special needs in a discussion about their lives and their future. Read more. We travel all over Ontario spreading the word about accessibility at conferences and events. We also make virtual connections through webinars for organizations. Let us know if you’re interested in having us do a presentation for you. © 2014 Ministry for Seniors and Accessibility, All rights reserved.